Casino-less Tennessee will consider at least one sports betting proposal in 2019. Last week, a state lawmaker pre-filed HB0001, which seeks to put the issue before lawmakers for a vote. 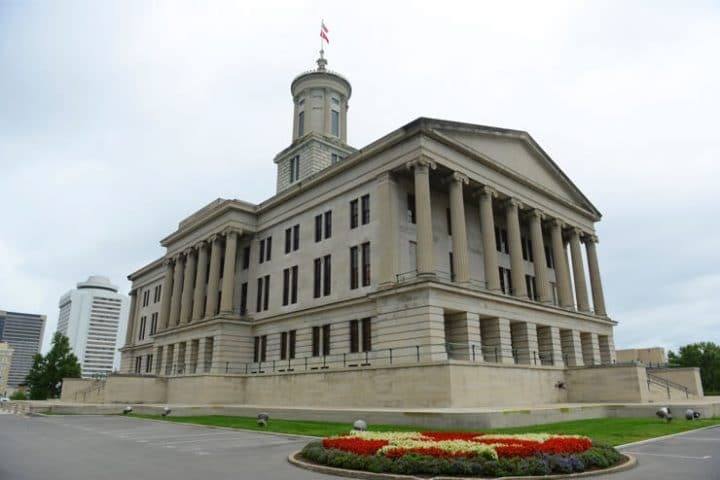 The measure was introduced by State Rep. Rick Staples, a Democrat from Knoxville. The proposal is a first for the Volunteer State. The state legislature didn’t consider a measure in 2018 in the wake of the mid-May Supreme Court ruling. It also didn’t consider a measure in 2017, when it became apparent that an overturning of the Professional and Amateur Sports Protection Act of 1992 was a real possibility. Under the Staples plan, sports betting would be authorized “only in jurisdictions that approve sports betting by local option election.” However, the bill would allow interactive (mobile) sports betting. In other words, local governments in Tennessee could move to block mobile betting within their jurisdictional borders. There would be a 10% tax on sports betting revenue under the Staples plan. The bill calls for 30% of the tax revenue to be returned to local governments. That provision could help sway local governments to join the market. A sports betting license would cost just $7,500. The legislation would establish a gaming commission for the state. Regulators would be authorized “to collaborate” with the Tennessee Bureau of Investigation for enforcing the provisions of the new law. The bill bans the extension of credit to sports bettors, and it requires that mobile sports betting registration happens in person at a licensed brick-and-mortar sportsbook. Tennesseans elected a new governor last week. The candidates addressed sports betting in their final debate, which was held on October 12. When asked if he would veto a sports betting bill, Governor-elect Bill Lee, a Republican, dodged the question. “I would work with the legislature to make sure they didn’t approve it,” Lee said in the debate. “I think that organized betting frequently develops into organized crime that we don’t need in our state,” he added. That position directly contradicts the U.S. casino industry and other research that shows an American sports betting black market of at least $150 billion in wagers annually. The point of regulation is to eventually put an end to wagering on offshore gambling sites, as well as bets placed with underground, U.S.-based bookies. Lee’s opponent, Democrat Karl Dean, a former mayor of Nashville, said he would sign a sports betting bill if the legislature put it on his desk. Dean said that Tennessee’s neighbors will have sports betting and that gambling dollars will be leaving his state. Lee walked back his position to some degree when asked if he would support a sports betting initiative that put the issue up to the counties, especially those that border a sports betting state. Staples’ bill seems to take into account Lee’s concerns or position on sports betting. Polls leading up to the election pegged Lee as a big favorite. “I do believe that local decision-making is generally the right direction to go, so I’d be more open,” Lee said. But he then doubled down on the “organized crime” concern. The Staples plan lists numerous ways for law enforcement and regulators to oversee the industry. Lee was described as an “outsider with no political experience” by a moderator of the final debate. Lee was previously CEO of his family’s construction company. He was named a “Most Admired CEO” in 2015 by the Nashville Business Journal. The governor-elect’s transition team didn’t return a request for further comment from US Bets. Staples was also unavailable for comment. Under a regulated landscape with mobile betting and a base tax rate of 10%, the state’s legal sports betting market could reach $4.5 billion in annual handle and $300 million in revenue, according to a study commissioned by the American Gaming Association. A mature Tennessee sports betting market is projected to be slightly larger than Nevada’s. In addition to Staples, Mississippi State Sen. Brian Kelsey, a Republican, has said publicly that he envisions physical sports betting locations in downtown Memphis and downtown Nashville, as well as “online platforms” for those state-sanctioned groups. Last week, Arkansas voters approved a constitutional amendment that allows for four Las Vegas-style casinos in the state. One of those casinos is expected to come to the Southland Gaming and Racing racino, located outside Memphis. If Tennessee doesn’t legalize and regulate, Southland and Arkansas could be a beneficiary of betting on the Memphis Grizzlies. The NBA has greatly warmed to legal sports betting in recent years, especially post-PASPA. To the north of Tennessee, lawmakers in the state of Kentucky — which also doesn’t have any brick-and-mortar casinos — are preparing for a bipartisan sports betting push in 2019. Kentucky is projected to see $2.8 billion in handle and $185 million in revenue, but those projections could grow if Tennessee stays out of the game. To the south, Mississippi is already all in. Casinos there kicked off sports betting in time for the ongoing NFL season and quickly reaped the benefits. Mississippi has several casinos along the Mississippi River near the Tennessee border south of Memphis, so legal sports betting is already nearby for Tennesseans. Fortunately for Tennessee, it is now looking to be further along in the game than its other neighbors, Alabama, Georgia, and North Carolina, though the latter does have casinos. Missouri and Tennessee also share a small border, and the former considered sports betting bills this year.